Astrakhan is a soft and warm natural material that has been used since the earliest times to make autumn and winter clothing. This long astrakhane coat is a stylish and modern piece of clothing that is suitable for completing various outfits. 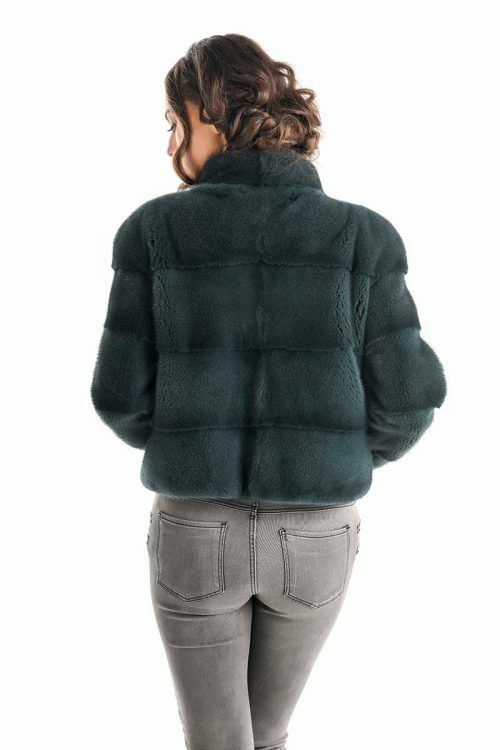 The inside of the coat is lined, so you will always feel comfortable wearing this coat. Closure is done with a discreet cord and magnets, the coat is very practical and easy to wear. Tailoring of this garment wil highlight your silhouette and give you a feminine and distinguished look.